Most Memorable Teacher I Never Had. I was waiting for a bus in Mexico City a few months before the 1985 earthquake. It was one of the city’s major arteries like Reforma or Insurgentes. It was in a posh neighborhood where the cross streets are named after rivers of the world (Danubio for Danube or the economically-spelled Misisipi). On this particular intersection on that particular afternoon there was a bench with a poster kiosk next to it. 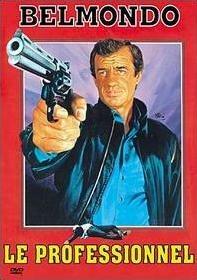 The poster du jour was one for a Jean-Paul Belmondo movie. The poster showed a long-armed Jean-Paul holding an oversized pistol. A young mother and child were standing directly in his line of fire, as indifferent to the Gallic gunman as a U.S. Attorney General at a Senate hearing. Frankly, the woman’s dignity negated JP’s menace. The bench that I was sitting on was divided into two sides with a shared backrest. The side facing the street was for people who anticipated the arrival of their bus. The other side was for people who were going home to their families. Being a neutral stranger, I sat with my back to the traffic and between blaring horns, police whistles and the sounds of a church choir practicing somewhere nearby, I heard a sound I hadn’t heard in years. It sounded like someone tsking. For people of a certain age, tsking was a dreaded sound. It was how elders showed disapproval or contempt for young people. The sound was coming from a middle-aged woman sitting behind me. I slid down to the far end of my side of the bench to get a better vantage point (and to put some distance between us). She was wearing glasses tethered to her sweater and was looking down into her lap. She wore a plain starched white blouse under her sweater and a cameo broach. She was extremely neat and proper, and if she had been a man, she would’ve been wearing spats. Her sounds were accompanied by a slow, but continuous side-to-side shaking of her head. My bus was approaching, but since it was Mexico City there was nothing to be excited about. Actually, I had been watching it inch forward for the last hour and a half. Things happen in Mexico at their own pace. They also don’t happen, although at a much slower pace. I got on the bus and paid my fare, finding a seat next to the window. I was now able to get a good look at tsking woman and discovered the reason for her tsking. She was grading papers. Her finished stack was as thick as a phone book and she had an equal stack still left to grade. Her worn-to-a-stub red pencil was the same color as the lipstick on her pursed lips. Her focus had blocked out the rest of the world and had nearly caused her to miss her bus. She looked up to the heavens to sigh (Innocente had evidently misspelled Coatzacoalcos again) and noticed for the first time that her bus (my bus) had arrived. The Professora unhurriedly gathered her things and entered the bus, greeting the driver as she showed him a pass. She sat down behind me and immediately ungathered her things and went right back to grading papers. Thirty minutes later, after being forced to enlist the aid of a policeman, our driver eased back into gridlock and until I got off at my stop about an hour later, I got to hear a “roll call” of her students names. Interspersed with the tsks where a few “bravos,” but these were usually attached to girls names. When I first heard of the earthquake a few months later, I immediately wondered if she had been among the casualties. I hope she wasn’t, for if there’s one thing we need more of, it’s teachers who tsk.